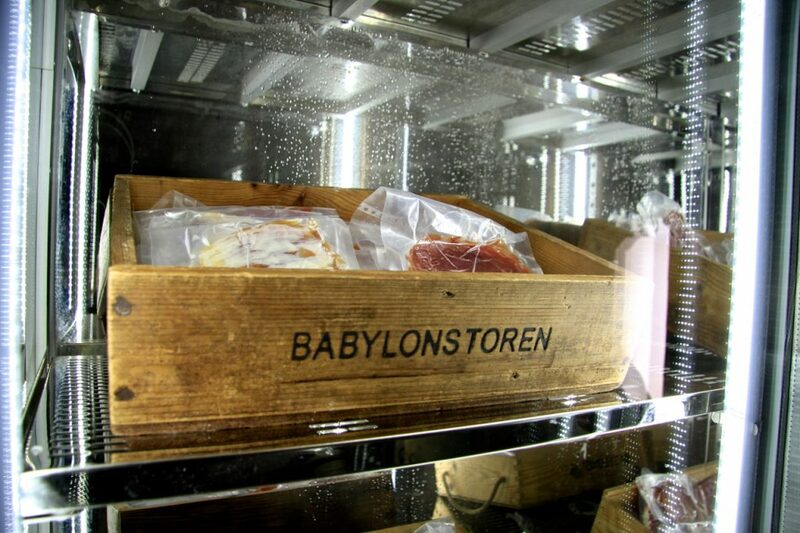 The name Babylonstoren immediately evokes images of abundance and hanging gardens of wondrous dimensions, brimming with glorious plants from around the world. 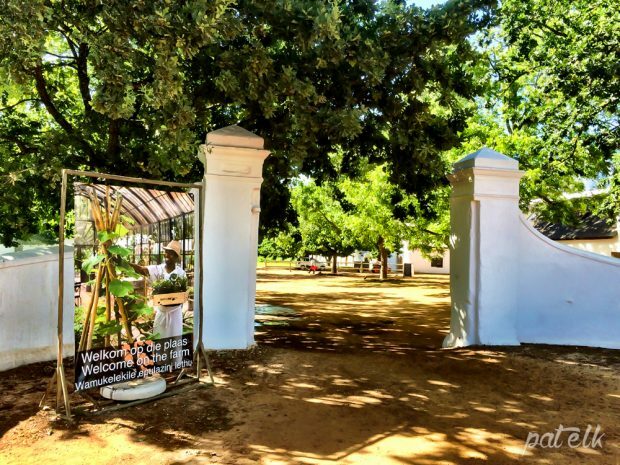 So what could we expect when visiting this Babylonstoren, with no prior information or pictures, other than a whisper to go visit? 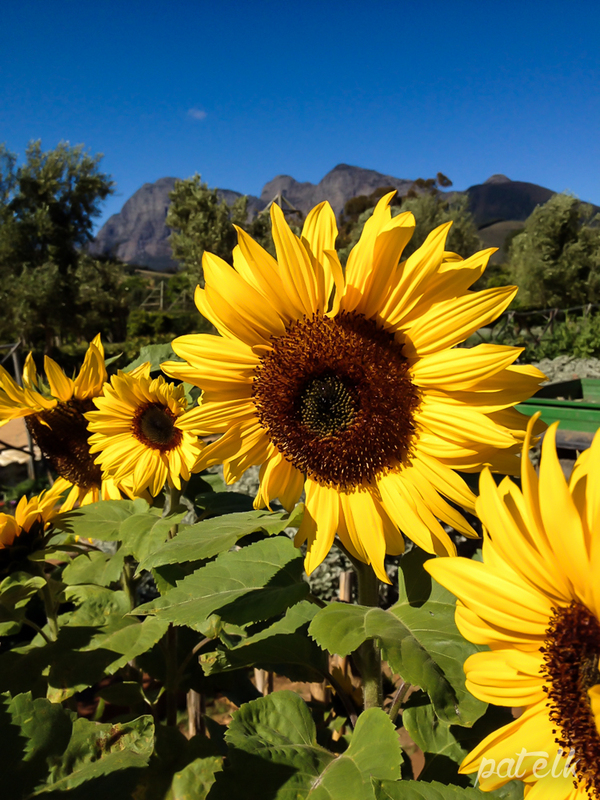 Babylonstoren is situated in the foothills of the Simonsberg, Franschoek and Du Toitskloof mountains in the Drakenstein valley. 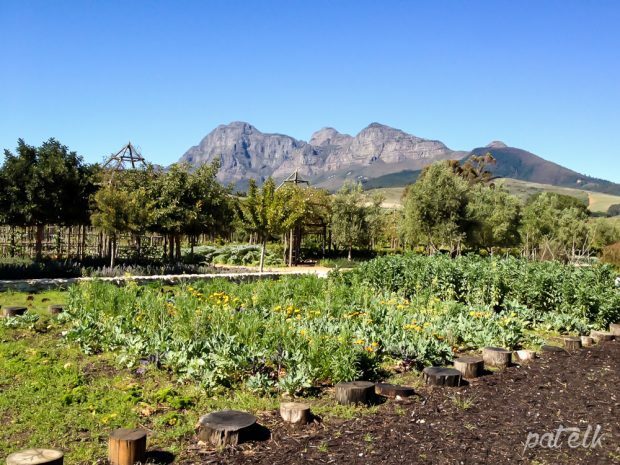 It lies between Franschhoek and Paarl, about 45 minutes from Cape Town. A pleasant drive for a day out. 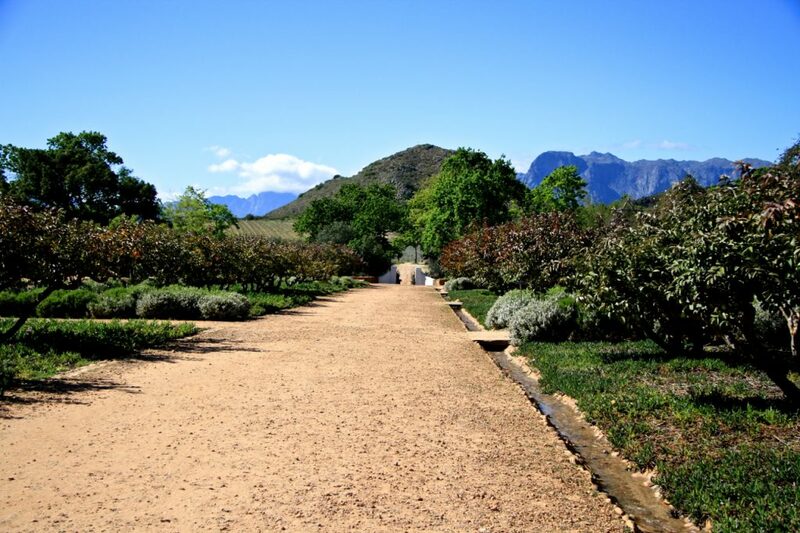 We were astounded by the size and layout of the gardens. 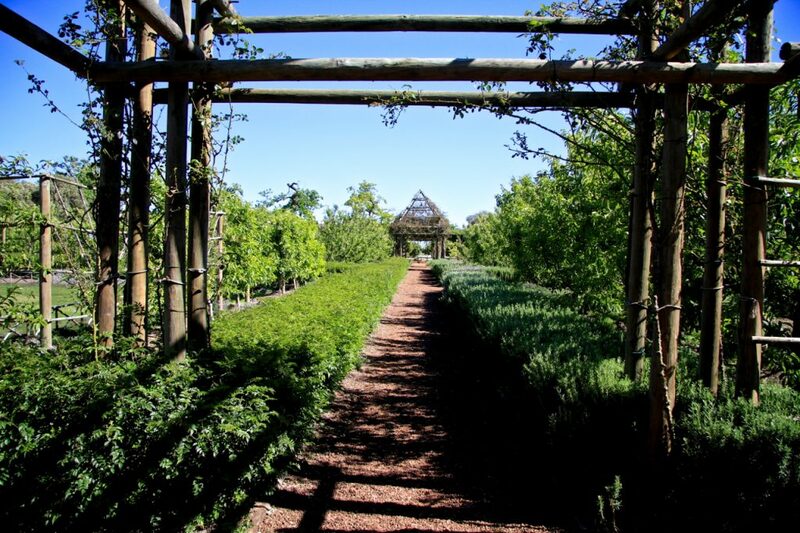 It’s a magical maze, with each section leading to more herbs, vegetables or fruit trees, all lush and abundant with the vegetables or fruit of the season, hanging off the trees like gemstones. Purple and yellow plums, red and green apples, and of course the yellow orbs of the lemons,hanging enticingly at your fingertips. 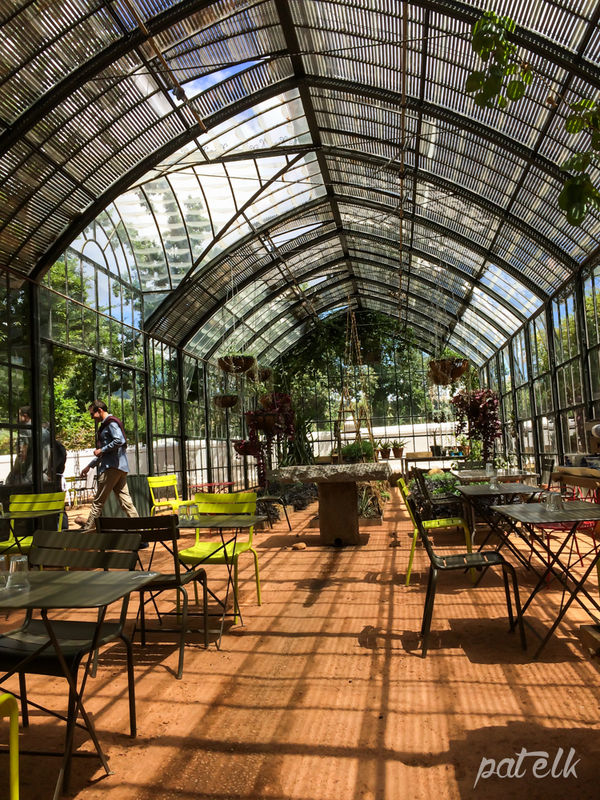 Each time we’ve visited there’ve been other fruits or flowers of the season tempting your palate and senses, and you can hardly wait to get to the Green House in time for a light lunch. 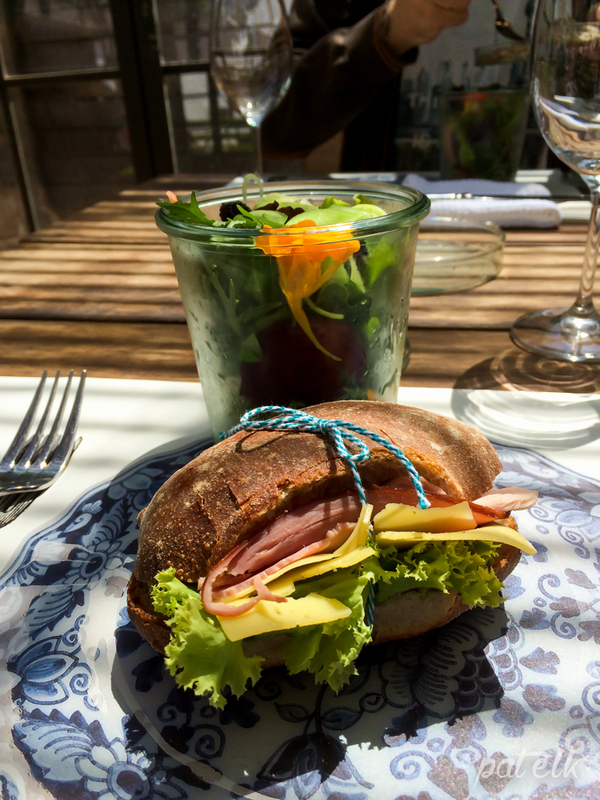 Lunches are wonderful and everything on the menu is either baked in the farm’s own bakery or sourced from the Babylonstoren garden itself, including drinks like homemade lemonade with mint, or the green, red or yellow juices of the day, all made according to whatever’s in season at the time. 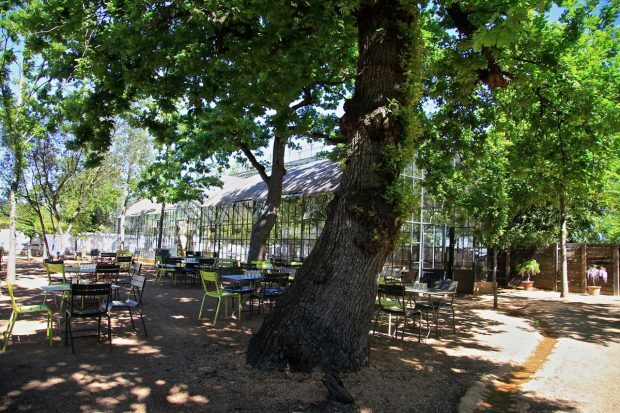 The setting is up to you: you can choose to be seated in the Green House itself or under the Oak trees outside. 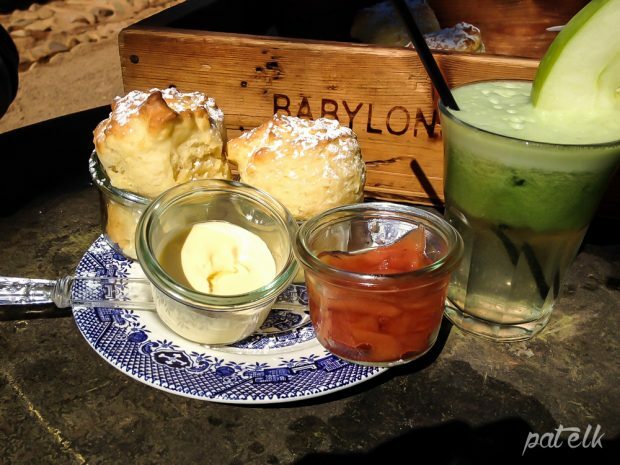 Not to be missed are the scones with jam and cream. Scrumptious. Taking a leisurely walk back through the gardens, you’ll notice something you missed on the way, in another fruit tree or new herb not seen before. 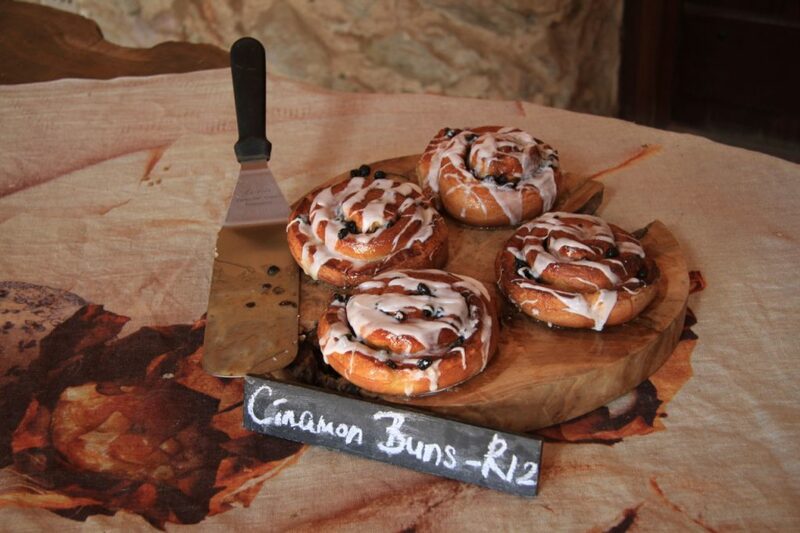 Like Cinnamon Basil, with an amazing aroma of cinnamon and a special flavour too. Now onward to the shop. 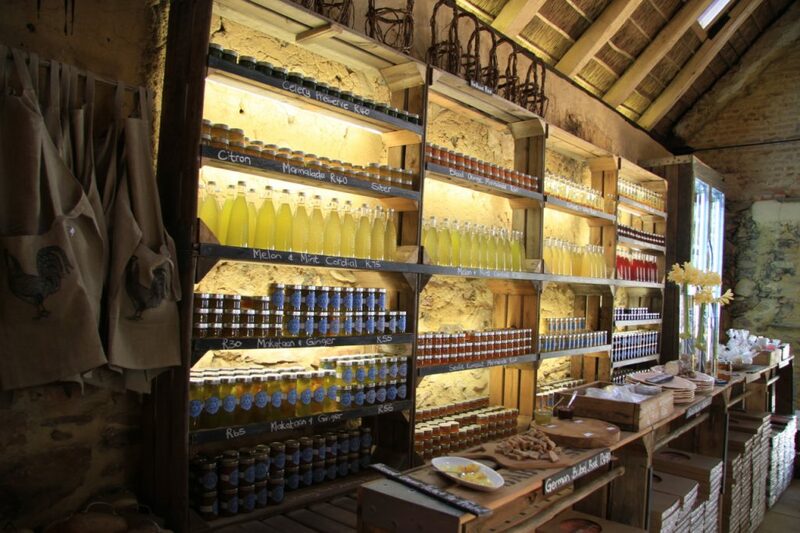 The farm shop is an amazing collection of bakery, charcuterie and absorbing array of glass flagons, bottled drinks, table linen, plants and books – all of them unique to Babylonstoren and probably handmade to their own design and brief, no doubt. 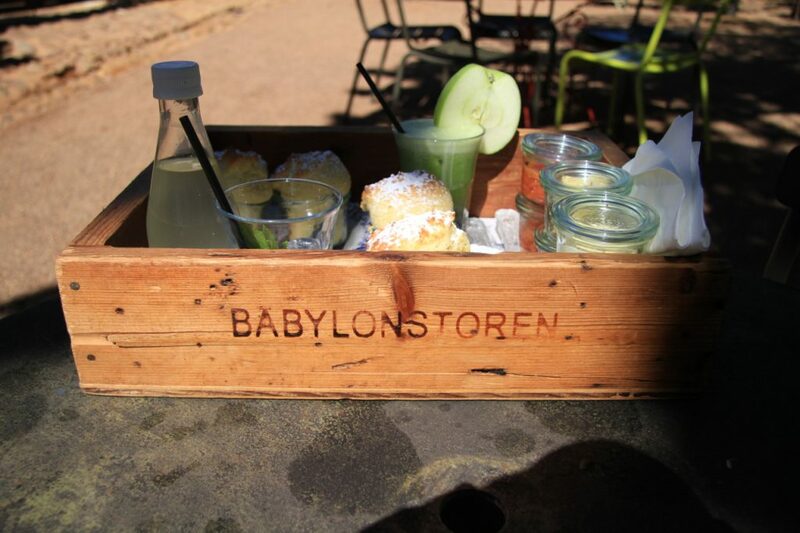 It’s impossible to leave without something you just have to have, like the Babylonstoren recipe and history book. There’s also a wine shop adjoining the store, where wine from the farm can be purchased. 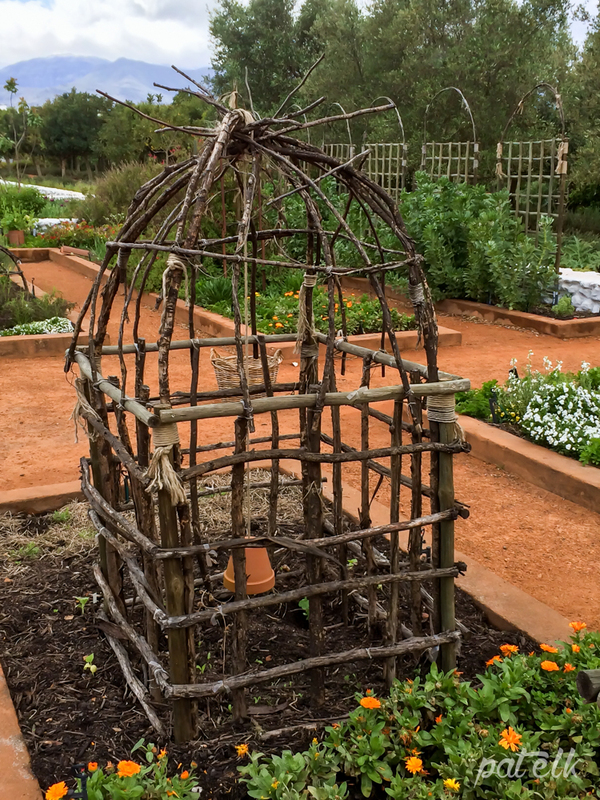 Babylonstoren offers hands on workshops (only 20 people per course) on the farm, according to the season and what the garden makes available. 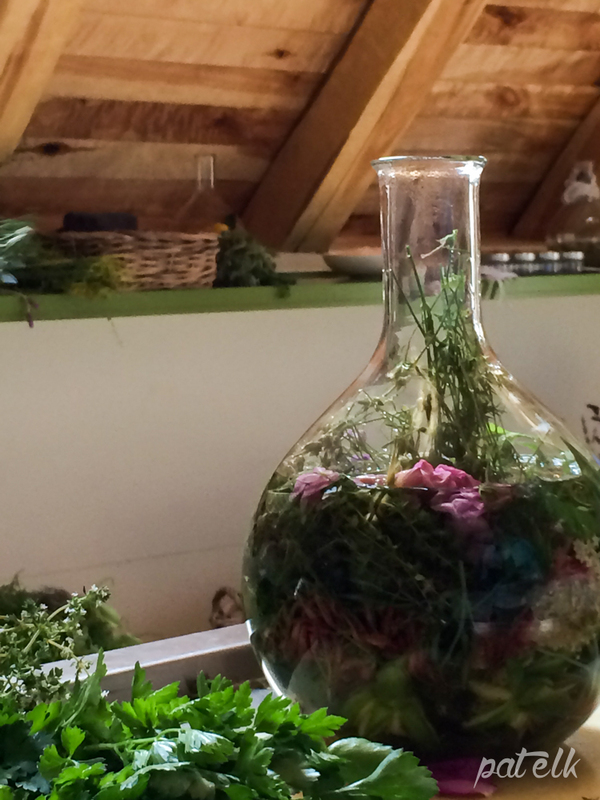 We attended the Herbal workshop where we learned about the different herbs and their uses. 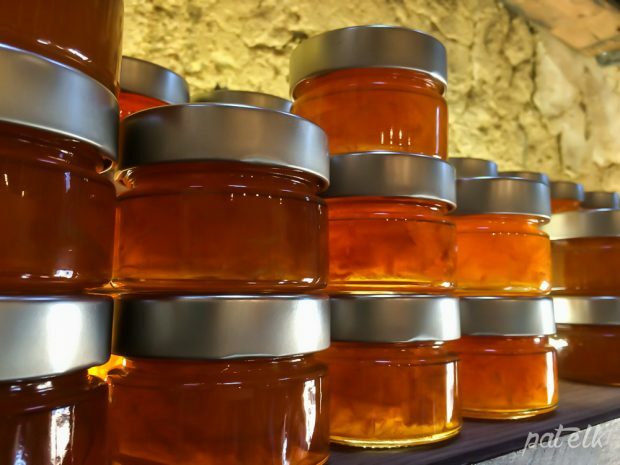 We made Tussie Mussies, herbal salts and teas and herbal oils. 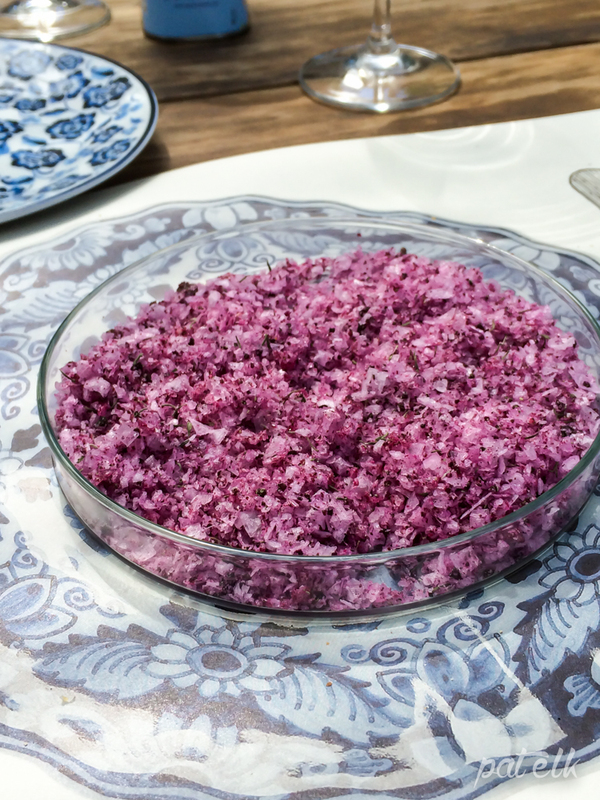 We even learnt how to make aromatic soaps and bathsalts. 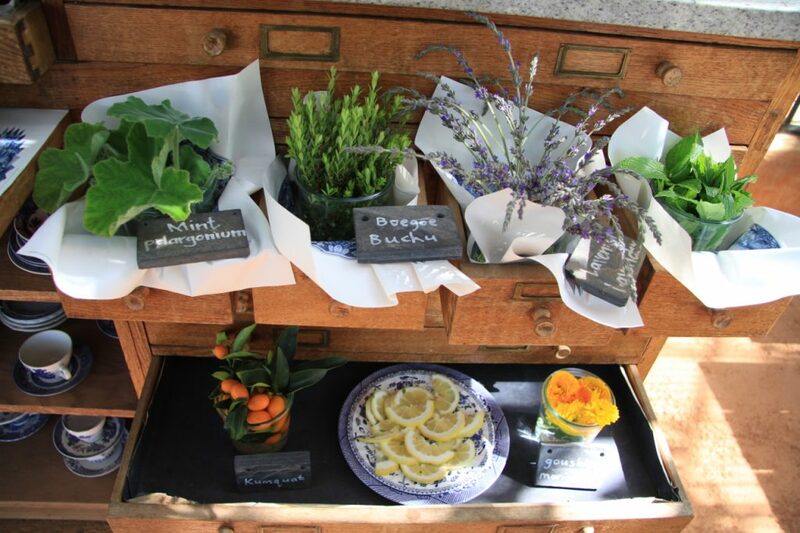 It was such an eye opener to realise the value of herbs and flowers that are just growing with gay abandon in your garden, and definitely a workshop we hope will be repeated this year. We’ve already booked for the distilling course in May. Will we be back? You can be sure we will. Again and again.